Rentman offers the option to import data from excel or other software packages. Data is imported to Rentman with the help of XLS or CSV-files. These are files that can be saved from excel and most software systems. XLS is the file format under which your Excel documents are usually saved. Tip: To successfully import the both file types a .CSV succesfully it is important that the upper row contains the description of the information in that collumn. 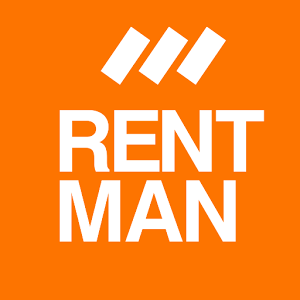 After saving your list in the right file format you can import the file to Rentman. First open the right module (equipment/contacts). Then click on import on the right top of the screen. A new pop up opens where you can select and upload the file. After uploading the file click on check and select the correct vallues that correspond with the Rentman information. - Make sure your .CSV file contains a row with the main folders and a row with the sub-folders. - When importing, select the Main folder as 'Folder' and the Sub-folder also as 'Folder', the first will now be the main folder and the second the sub-folder. Click on Import, the Products will now be correctly imported with the correct folder structure. Serial numbers of equipment items can be imported into Rentman. Import serial numbers with a separate serial number import when the equipment items are already in your database. Example import of serial numbers with the equipment code and the serial number. Equipment item 1 will be imported into the system and serial number 101 and 102 will be connected to this item. When opening equipment item 1 in Rentman the serial numbers will be visible when you click on the 'serial number' tab. Companies, organisations and privat persons can all be added as contacts. Contact persons can be connected/added to these contacts. Example: John is a contact person within the company Rentman. Import Contacts and contact persons separately. First import the contacts with a unique contact number. Later import the contact persons who are connected to the contacts with a contact number. Contact persons can be best imported in a separate file. Click on import contacts in the right top of the contact module screen. Select the correct file and connect all fields with the contact information including the contact number. Click on import contact persons in the right top of the contact module screen. Select the correct file and connect all fields with information for the contact persons including the contact number. Result: The contacts Rentman and Coca-cola are imported. Within Rentman John and Anna are contact persons. Within Coca-cola Jonas is a contact person.